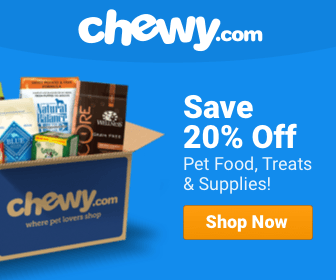 Best Dog Food For Skin And Coat: Reviews & Top Picks! Making sure your dog’s coat is shiny isn’t just for aesthetics. It also means his coat is healthy, which also indicates healthy skin. A dull or matted coat can be a result of underlying problems, starting with the skin. If you find your dog scratching or his skin flaking more than usual, you may need to start with his diet. Excessive bathing can actually dry out the skin, leading to potentially more serious skin problems. However, your dog’s diet, if it contains the proper vitamins and minerals, can combat unhealthy skin and coat issues. 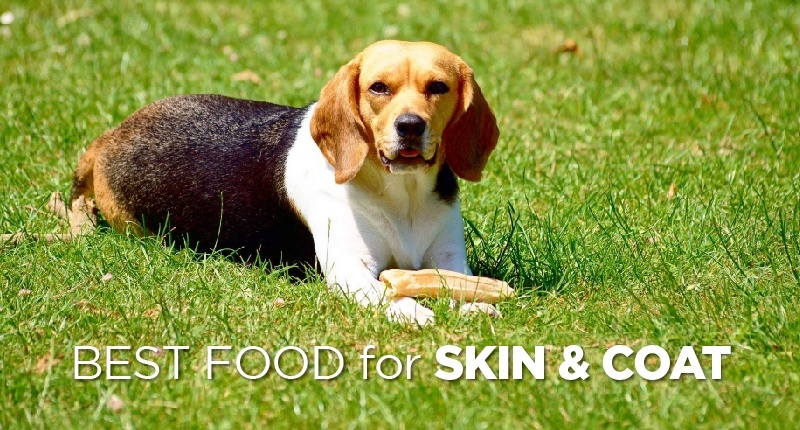 The foods in this article are my picks for the best dog food for skin and coat, as they promote healthy oil production and have less risk for allergens than other foods. Before you search for the best dog food for dry skin and coat, it is important to set up an appointment with your veterinarian. She will be able to determine what the underlying cause of your dog’s skin and coat issues is. She can also point you in the right direction for grooming and dietary needs. Still, there are a few key things you can look for in dog food if you’re looking to make a switch. First, essential fatty acids are one of the most necessary things to include. Look for Omega 3 and Omega 6, which help the body produce the oils needed to keep the skin and coat moisturized. Zinc, B Vitamins, and linoleic acid also help keep the skin healthy and soft by increasing skin hydration and promoting healthy cell replication. Other helpful ingredients to look for in your new food are healthy oils, like sunflower, fish, and soybean, and chicken fat, which is a natural lubricant. 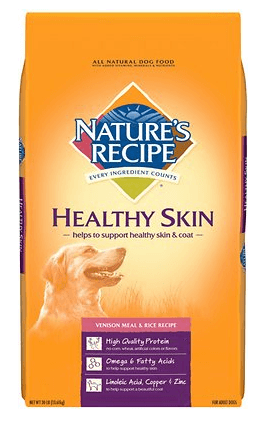 Nature’s Recipe holds everything you could want for your dog’s healthy skin and coat with its Healthy Skin formula. In addition to plenty of Omega 6 fatty acid content to promote a shiny coat, the formula also provides your dog with zinc and linoleic acid for healthy skin. This dog food contains an excellent balance of ingredients for overall health. You’ll find venison meal, chicken fat, and oatmeal among its main ingredients. Additionally, Vitamins A, E, and C help round out excellent formula, which is free of artificial flavors and colors. This formula is specifically for dogs over 15 months and between 56 and 99 pounds, since larger breeds typically suffer from joint issues. 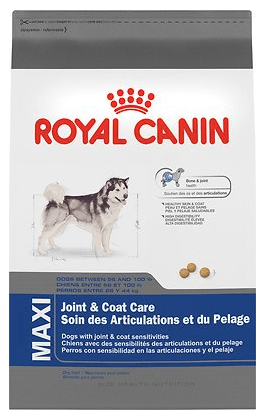 However, Royal Canin Maxi Joint & Coat offers ingredients that help both joint and coat health, as the name suggests. So, your larger breed can reap the benefits in many ways. Royal Canin’s idea behind building a strong coat and skin is to give it further protective properties for internal organs. So, it builds up the skin and coat with fatty acids and Vitamin Bs. Then, it works to build strong joints with glucosamine and chondroitin. 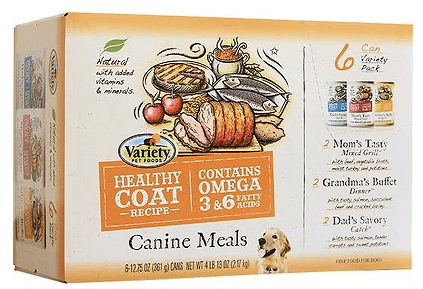 Variety Pet Foods’ Healthy Coat canned food formula is one with added vitamins and minerals and free from artificial flavors and colors. Essential fatty acids, Omega 3 and Omega 6, complement the ingredient list, which is full of quality ingredients. You’ll find real beef, turkey, salmon, and more real protein sources in this wet food. Each variety also contains sunflower oil and flaxseed, two important ingredients that promote a healthy skin and coat. 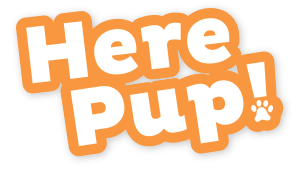 Your dog will also benefit from the balanced nutrition of added fruits and vegetables in Variety Pet Foods Healthy Coat formulas. 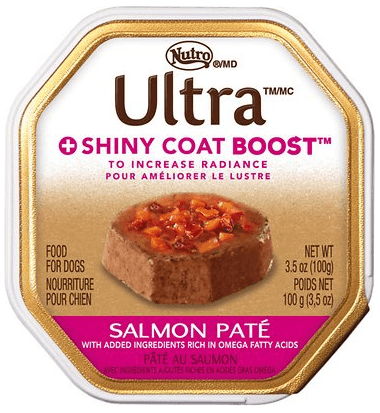 Not only is Nutri Ultra Shiny Coat Boost an excellent source of ingredients for your dog’s skin and coat, but it looks like a gourmet meal. With real bits of veggies added on top of the food, your dog will think he’s getting a treat. This formula is one of the most balanced, nutrient-dense ones for your dog with skin or coat issues. It’s rich in Omega 3 and Omega 6 fatty acids, sunflower oil, flaxseed, and Vitamin B12. But, it also has antioxidant-rich ingredients, like blueberry pomace and cranberry pomace, for overall immune system health. 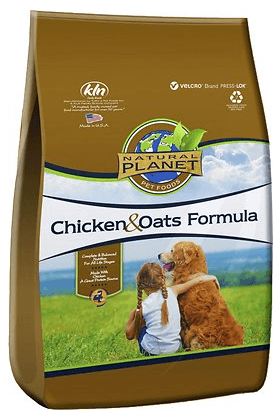 If you’re looking for an organic formula for your dog, Natural Planet Chicken & Oats Formula is it. With organic chicken, oats, barley, carrots, peas, and more, you’ll know your dog is getting a perfectly-balanced meal without the risk of contaminated ingredients. This formula has Omega 3 and Omega 6 fatty acids, flaxseed, Vitamin Bs, and sunflower oil to aid in your dog’s healthy skin and coat. It also has several ingredients, like brown rice and proteinated minerals, that promote healthy digestion. This means that your dog will be less at-risk for potential allergens. Promoting a healthy skin and coat for your dog is more than just to keep her looking her best. Because her coat health depends on skin health, its look can be a tell-tale sign of unhealthy skin problems. Fortunately, a change in diet may be all you need to combat potential skin and coat problems in your dog. Finding a food rich in nutrients and minerals, like essential fatty acids, zinc, and Vitamin Bs, can make a world of difference. Healthy, natural oils, like sunflower and soybean, will also help natural lubrication within the body. Try out one of the foods I suggested if your dog is suffering from a dull coat or dry, itchy skin. A simple diet change can restore your dog’s coat to its original, beautiful, shiny state.